Hinky Dinky News Vol. 24, No. 2: Spring-Summer-1968 – Hinky Dinky Parlay Voo? 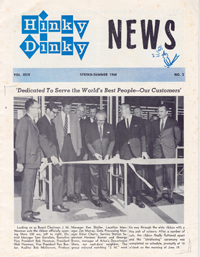 Here’s the Spring-Summer-1968 Hinky Dinky News.